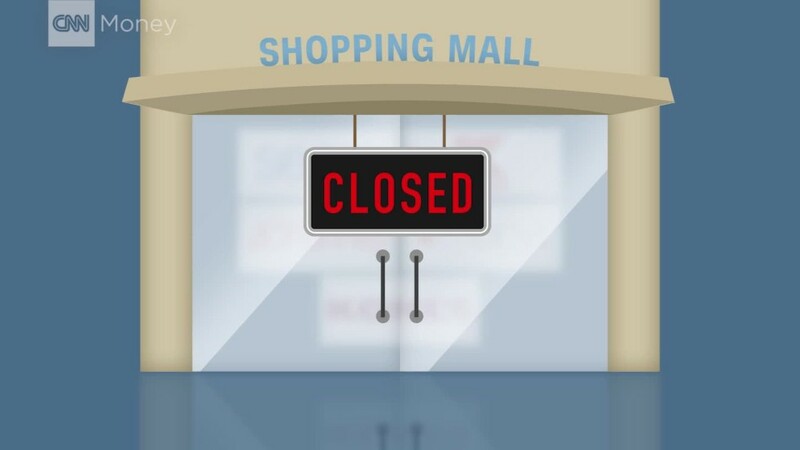 It should be easier to find a parking spot at the mall these days, because consumers continue to shun department stores. Macy's (M), Kohl's (KSS) and Dillard's (DDS) all reported drops in same store sales in their latest earnings reports Thursday. Same store sales are a key measure of health for retailers that look at how well locations open for at least one year are doing. Stocks for each retailer plunged on the news. Macy's is now down more than 40% this year. Kohl's has dropped nearly 25% so far in 2017. Dillard's plummeted 15% on Thursday alone, and has now given up nearly all its gains for the year in the process. It's yet another sign that the rise of Amazon (AMZN) and resurgence of Walmart (WMT) have taken a toll on many traditional retailers. Shares of Nordstrom (JWN), which will report its latest results after the closing bell Thursday, also fell. So did J.C. Penney (JCP), which will release its earnings Friday morning. Sears Holdings (SHLD) and Target (TGT) got whacked too. All of these old-school retailers are grappling with how to get customers in the door. Many have resorted to big discounts and promotions -- and that has hurt their profits. Dillard's CEO William Dillard said in the company's earnings release that "significant markdowns led to a disappointing loss" in the quarter, adding that sales of shoes, cosmetics and furniture were disappointing. Retailers have had a tough time managing the transition to e-commerce while also making sure their brick-and-mortar stores keep foot traffic moving. Macy's CEO Jeff Gennette, who replaced longtime CEO Terry Lundgren earlier this year, stressed in the earnings release that Macy's is continuing to invest in "accelerated growth in digital and mobile." But he added "there is still work ahead of us." Simply put, retailers have to do a better job of offering products consumers want at affordable prices. But Antony Karabus, CEO of consulting firm HRC Retail Advisory, said in a recent report that's easier said than done. "Significant market share becoming available as a result of bankruptcies and store closures should have produced sales growth for traditional retailers -- but sadly this hasn't occurred," Karabus noted in his report. That's because along with Amazon, discounters like Walmart and fast-fashion apparel brands such as H&M and Zara are stealing more market share. And that trend is unlikely to change anytime soon. E*TRADE senior manager David Russell referred to the problems facing traditional stores as "the retail ice age" in a report Thursday. Sounds about right.